_The Evangelical Lutheran Church in Zimbabwe (ELCZ) hereafter known as the Church was founded in 1903 through the activities of the Church of Sweden Mission (CSM). 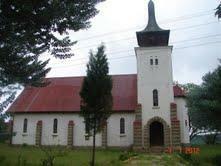 The Church was originally administered from Zululand, South Africa. Bishop Sundgren who died and is buried in Zimbabwe, was responsible for the Swedish Church in Zululand and in the then Rhodesia (Zimbabwe). The Church became independent in 1962 with the election of the first Bishop responsible for the Church in Zimbabwe (then called Rhodesia). The Church has since after Bishop Sundgren, been led by locally responsible Bishops to date. The ELCZ became a member of the Lutheran World Federation (LWF) in 1963 when it was mainly concentrated in the Mberengwa, Gwanda and Beitbridge Districts where its presence was centered on mission stations. However, the Church has since spread throughout the country with strong presence in urban centers.